Manny Machado is a free agent. The San Diego Padres currently have a glaring hole at shortstop. With plenty of potential money to spend, the two sides could be a match made in heaven. Or are they? First off. Yes, I know. The likelihood of the San Diego Padres signing Manny Machado is practically slim to none. The slugging infielder will be looking for a huge contract, and though the Padres do have money to spend in the future, it does not appear they are willing to commit that much money to one single player. You never know, though. I guaranteed the team would not sign Eric Hosmer last offseason. A.J. Preller made me look foolish and I certainly learned my lesson. Truly, anything can happen with this team. Anything. The idea of Manny Machado in a Padres uniform is intriguing. There are some within the Padres’ fan base that would love for this to happen, for obvious reasons, as Machado is an offensive force. Then there are others who would rather have rusty nails shoved under their fingertips than take on a player who does not hustle and has the reputation as a dirty player. Machado brings that kind of reaction where ever he goes. People either love him, or they absolutely hate him. When speaking about great players in this day and age of the game, Machado is certainly in that conversation. He has an outstanding approach at the plate and has proven that he can be a more-than-serviceable shortstop at the major league level. He has a special talent. He will be paid handsomely this winter by someone. He deserves to be paid. The question is, should the Padres be the team issuing him a monthly paycheck for the next 8-10 years? Are the Padres really a player in the Machado sweepstakes? They most certainly are going to explore this idea, if they have not already. I don’t care if Padres management indicates to the local media that they are not interested. With money to spend and Machado fitting the team’s most glaring need (shortstop), the Padres would be foolish to not kick the tires on this idea. The most concerning thing about Machado is his showing in the most recent World Series. His hustling comments are very troubling by themselves. He did not have to say that. Especially on that national stage. By putting his foot in his mouth, Machado cost himself millions of dollars on his next contract. 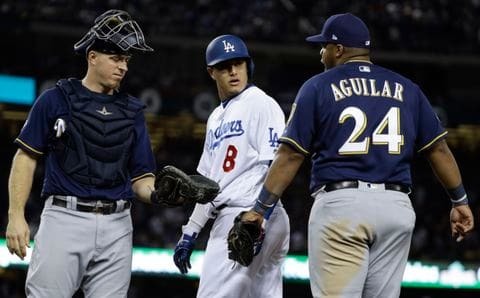 Then there was the base running issues in which he spiked the Brewers’ first baseman and grabbed middle infielders while sliding at second base – both considered very dirty plays if you are a ball player. Machado cost himself dearly with these antics. If you don’t think these issues will be costly, then you are very naive. While negotiating against the likes of Scott Boras, major league teams will use every angle to drop the value of a player. 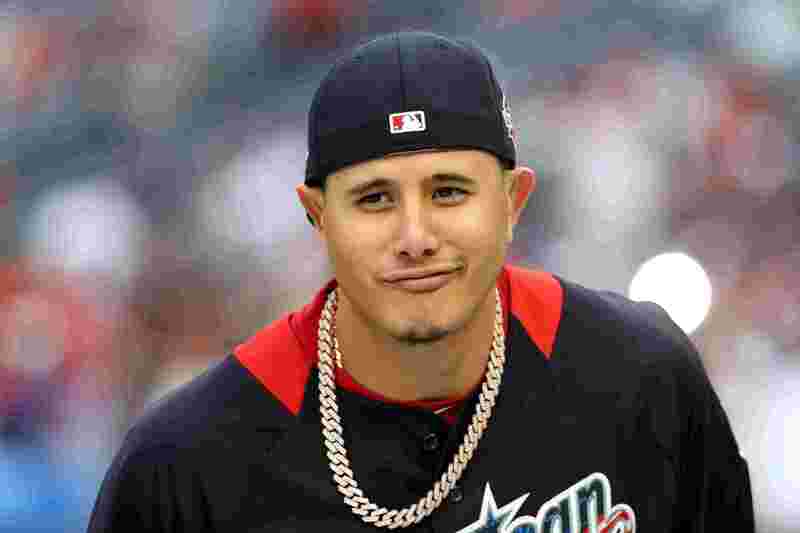 Machado, in the last games of his initial contract, a time where he should be on his best behavior, acted very foolish. If he plays the game like this while playing for a potentially huge contract, can you imagine the antics that could be potentially seen if he is guaranteed upwards of $300-350 million? It is a scary thought. But the Padres have money to spend and Manny Machado would look great in an old-school Padres uniform. Can the Padres afford him? The team has plenty of room on their books for a player of this ilk. Only Eric Hosmer and Wil Myers are guaranteed over $20 million beyond the 2020 season. We have heard that the Padres intend to spend, so why not spend on one of the best players available? With the farm system stacked, the Padres could bring in a great player without trading anyone in their precious group of top prospects. Now, whether or not the Padres want to spend a lot of their money on Machado annually is another debate. At roughly $30-35 million per season, Machado would take up somewhere around 25% of the Padres annual payroll salary. They could bump that up in the future, but that is on ownership. You also have to factor that the eighth, ninth, and tenth year on a new Machado deal could potentially be a bargain if he keeps producing. Major League payroll inflation indicates that players will be making $45-50 million by the time 2027 hits. There are probably going to be opt-outs in his contract to prevent this from happening. Would Manny choose San Diego? There are some indications that Machado would like to play on the East Coast. But there is nothing rock solid about that information. He played in Los Angeles late last year for the Dodgers and the thought of playing on the West Coast could have grown on him. When it comes to dollars and cents, Machado will obviously do what is right financially. He does not strike me as a player who would give a hometown discount for playing somewhere close to home (Machado is from the Miami area). He will take the best offer. Period. Fernando Tatis Jr. Luis Urias, Franmil Reyes, and company provide a great future for the team. Machado could see this group as an attractive team which he can help grow. The Padres also have some veterans, and if Machado is signed, a Padres playoff appearance would not be too far-fetched. Manny Machado could see the Padres as a team ready to be a perennial competitor. The Padres will stay lurking in the weeds on this situation. 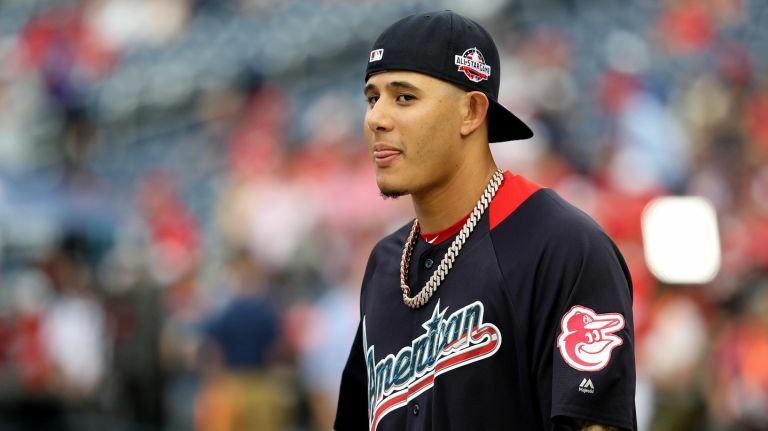 Manny Machado talk is lukewarm at the moment and the Padres are in no position to bid against the likes of the Yankees, Phillies, and Dodgers, when it comes down to it. However, if each of these teams loses interest and the market starts to dry up a bit, the Padres could step in. Not that Manny Machado would take a discount to sign with the Padres, but he could value the fact the team is interested and potentially ready to compete. It would take boatloads of money to sign Manny Machado on the open market. The fact the team could acquire him without touching its farm system would be huge. The Padres could add a top talent and still retain the best farm system in all the land. That is an appealing concept. A.J. Preller and the Padres have many things to accomplish this winter. Anything can happen in the construction of the roster. Anything. Next Austin Hedges vs Francisco Mejia: Who Should Padres Keep? Might have missed it if he changed, but isn’t Machado repped by MVP, not Boras? “Give it your best effort” is a mantra for life, not trying is simply too infuriating to watch. Playground kids try harder than Manny does, and without spiking each other. Though I fully expect Preller to fall all over himself trying to sign him. I’m not for signing Machado, but it would be a whole lot easier to sign him, or someone like him, if Preller did not more than throw away $144 million on a below average first baseman (not to mention throwing away millions elsewhere, eg Myers; et al). So instead of risking $350 million, it would be about $20 million a year for 10 years.